Author(s) Sluga, Hans; Stern, David G.
Ludwig Wittgenstein (1889-1951) is one of the most important and influential philosophers in modern times, but he is also one of the least accessible. In this volume, leading experts chart the development of his work and clarify the connections between its different stages. 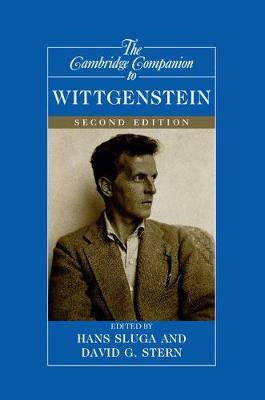 The essays, which are both expository and original, address central themes in Wittgenstein's writing on a wide range of topics, particularly his thinking about the mind, language, logic, and mathematics. The contributors illuminate the character of the whole body of work by focusing on key topics: the style of the philosophy, the conception of grammar contained in it, rule-following, convention, logical necessity, the self, and what Wittgenstein called, in a famous phrase, 'forms of life'. This revised edition includes a new introduction, five new essays - on Tractarian ethics, Wittgenstein's development, aspects, the mind, and time and history - and a fully updated comprehensive bibliography.